Encyclopedia Delivered; Phase II of Traditional Medicine Initiative Begins, Launch of New Project to Map 3 Million Acres of Indigenous Homeland, and more! With 2015 drawn to a close and a new year ahead of us, we wanted to take a moment to thank our supporters and update you on the progress of our on-the-ground conservation initiatives in the Amazon Rainforest partnership with the Matsés indigenous people. We are excited to share with you achievements of our ongoing projects as well as announcing the launch of a major new project, the Matsés Indigenous Mapping Initiative! 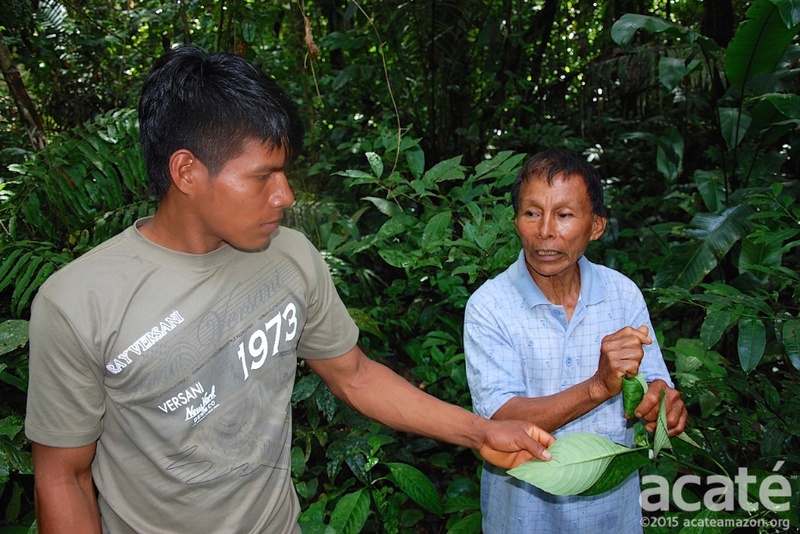 Before the start of Acaté’s initiative, none of the remaining Matsés elder healers, including Cesar pictured above, had apprentices due to the influences of missionaries. The accumulated knowledge and ancestral wisdom passed on through the centuries was perilously close to being irretrievably lost. 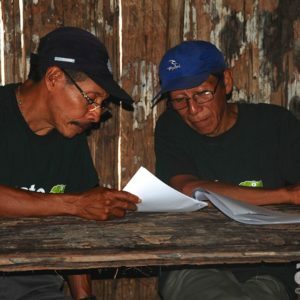 In May 2015, Acaté leadership and Matsés elders met for several days in the Matsés village of Puerto Allegre on the upper Rio Yaquerana to finalize the Matsés Traditional Medicine Encyclopedia, culminating over two years of diligent work. The completion of the first-ever indigenous medicine encyclopedia, a 500-page repository written entirely by elder shamans in their own words and language, received wide acclaim in the conservation world. Neste Tantiaquidon Chuibanaid, the Matsés Traditional Medicine Encyclopedia, is an extraordinary repository of ancestral knowledge. Densely written and beautifully illustrated, this historical record is the first of its kind and captured uncounted centuries of accumulated indigenous wisdom and healing knowledge. Until their encyclopedia and the start of the project, the Matsés entire traditional health system was on the unchecked verge of disappearance due to influences of the outside world. In June, leading rainforest conservation news site, Mongabay.com, profiled the initiative with an interview with Acaté President Christopher Herndon by correspondent Jeremy Hance. The resulting article became Mongabay’s most read and shared story of 2015. Translated in several languages including Spanish and Portuguese, the story was additionally covered in a number of international media outlets including Fusion, Veoverde, Motherboard Vice, Entrepreneur, Peru This Week, La Republica among others! Most importantly, two established conservation organizations in the Amazon announced their intent to replicate the initiative with their indigenous partners! 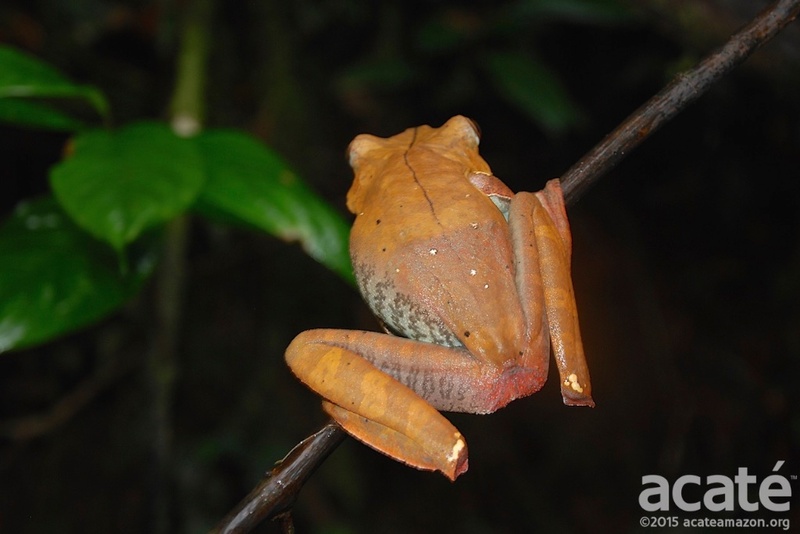 Although the giant monkey tree frog was first described by European naturalists in the 18th century, its chemical properties were unknown until the Matsés were first contacted and observed to use in hunting rituals. The Encyclopedia, its planning, writing, typing, editing, all photographs and illustrations, was undertaken entirely by the Matsés in their own villages. The Acaté team on the ground in Perú carefully oversaw its printing to ensure the security of sensitive information contained within that belongs to the Matsés people. Biopiracy is of real concern for the Matsés as they have had their knowledge stolen by outsiders in the past. The skin secretions of the giant monkey frog (Phyllomedusa bicolor) are used in hunting rituals by the Matsés. After reports of the Matsés use of it emerged from the forest, investigations of the frog’s secretions in the laboratory revealed a complex cocktail of peptides with potent vasoactive, narcotic, and antimicrobial properties. 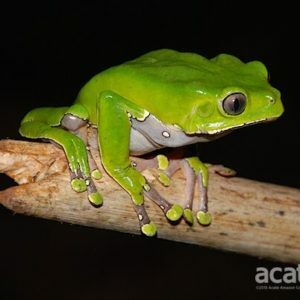 Over 70 patents to date have been filed by universities and pharmaceutical companies for applications on peptides derived from the frog’s secretions, without recognition of indigenous peoples for which it has long held a unique and important role in their culture. In November 2015, all copies of the finished Encyclopedia were transferred over to the custody of the Matsés leadership represented by High Chief Daniel Vela Collantes and Advisory Board Member Segundo Shabac Reyna Perez. Acaté Perú Director, Bill Park, and Carla Noain, represented Acaté during the handoff. It was an emotional exchange, years in the making, and a powerful moment to realize the culmination of such a heartfelt endeavor. 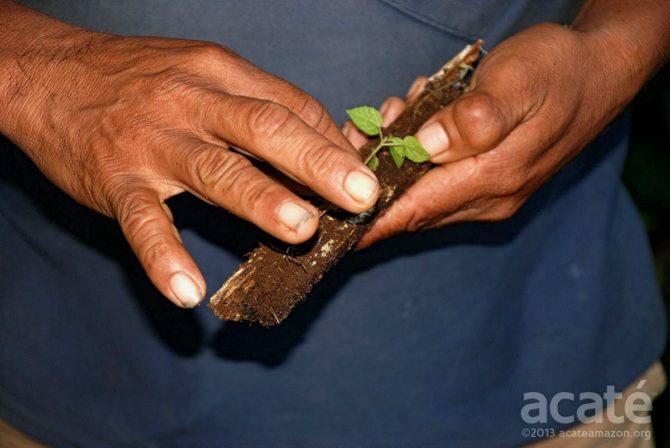 Matsés healer Antonio Jimenez holds a seedling of a medicinal tree he is preparing to transplant into the rainforests surrounding his home. It is rarely appreciated that indigenous peoples are often master horticulturalists. There was agreement among the Matsés elders that the completion of the Encyclopedia is a historical and critical first step towards mitigating existential threats to Matsés healing wisdom and self-sufficiency in health. The Encyclopedia alone is not sufficient, however, to maintain their self-sufficiency as indigenous healing systems, like all healing systems, are based on experience that can only be transmitted through long apprenticeships, as it was when the elders learned from their fathers before them. 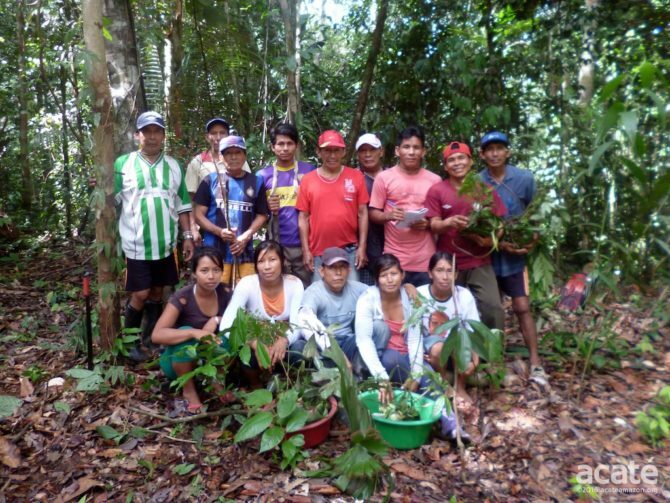 At the inter-village meeting in May 2015, the Matsés leaders and elders outlined their vision for Phase II, the Apprentices Program, in which each elder shaman—most of whom are also Encyclopedia chapter authors—will be accompanied in the forest by younger Matsés to learn the plants and assist in treating patients. The groundwork for the Apprentices program has already been established in five villages through the writing of the Encyclopedia chapters where a Matsés young adult was paired to an elder shaman in each of the communities. The full apprenticeship pilot was initiated in 2014 in the village of Estirón under the supervision of master healer Luis Dunu Chiaid. Due to the success of the pilot, it was unanimously agreed by the Matsés that this program should be expanded to as many villages as possible, with priority given to villages that no longer have traditional healers. 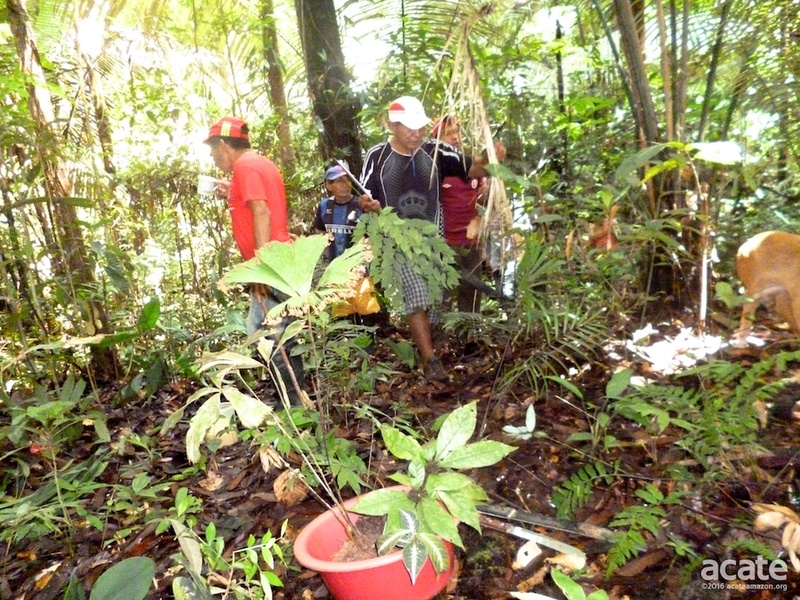 Phase II also involves creation of Healing Forest Medicinal Plant Gardens, based on traditional Matsés agroforestry. Many of the rainforest vines and fungi that the Matsés use for healing will not grow in sun-exposed gardens and require rainforest ecosystems for their propagation. 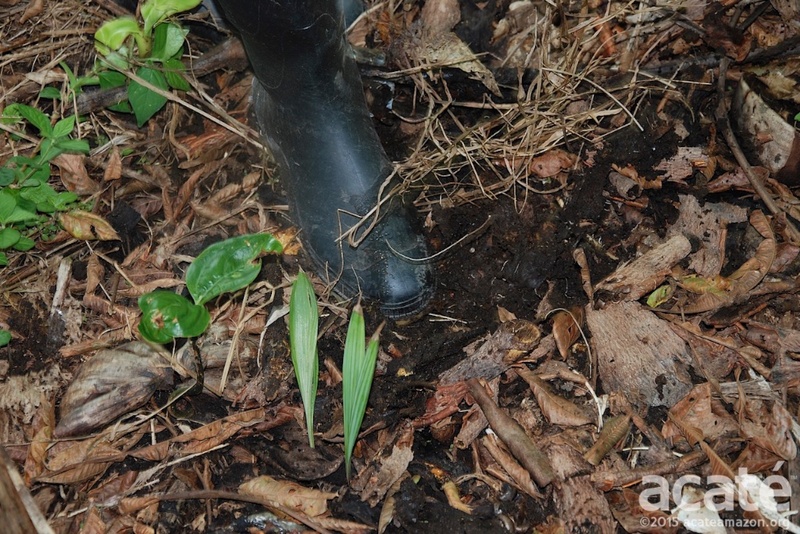 Successfully transplanting and establishing rainforest plants in situ is not easy and requires a master understanding of these complex ecosystems for successful cultivation. 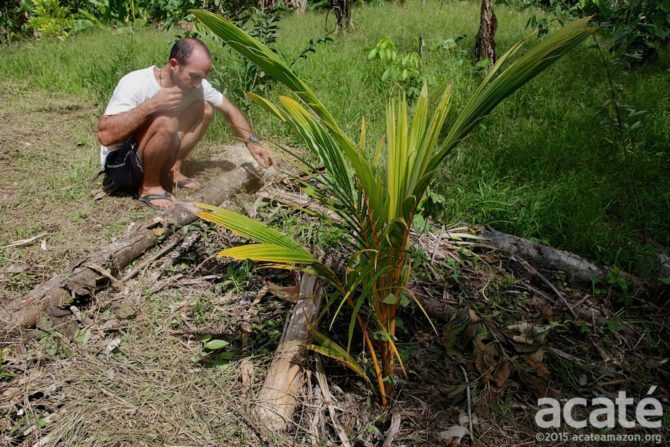 Western agroforestry and science could learn much from these indigenous masters. The model for Healing Forest is based one created by one of the greatest Matsés healers in the village of Nuevo San Juan and currently maintained by his son Antonio Jimenez. To an outsider, this forest will seem like non-descript stretch of rainforest along the footpath to their farms about a fifteen minutes walk from their village. 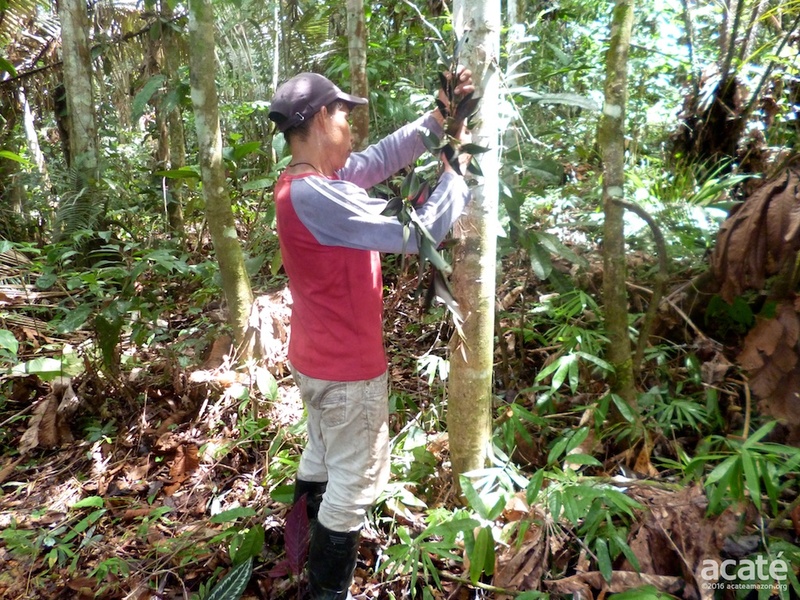 This forest is, however, a constellation of medicinal plants cultivated by the Matsés healers for use in treatment of a diverse range of ailments. 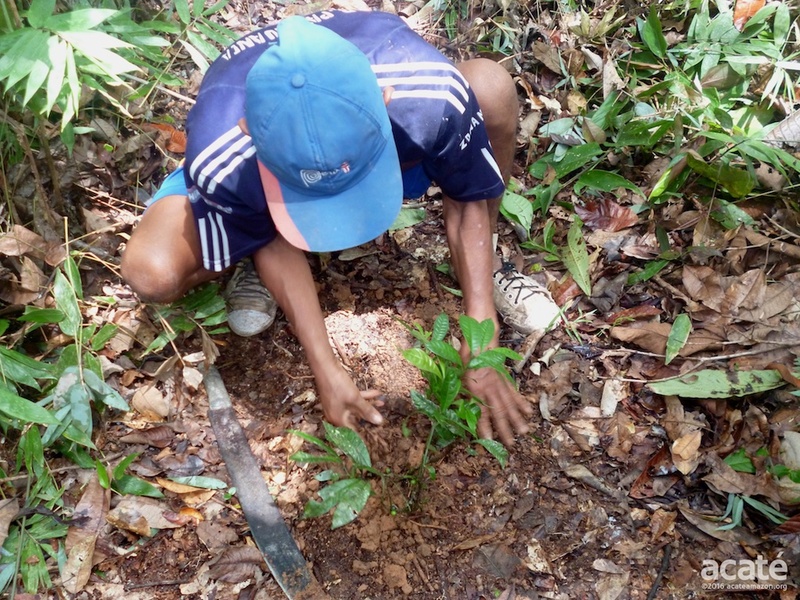 The healing forest systems will both hasten Matsés communities’ ability to treat ailments due to their proximity to village life, and offer a rapidly accessible classroom to the forest flora important in Matsés traditional medicine. The Healing Forests will be developed in six Matsés villages, each specified by the Matsés leadership. The Matsés elders nominated these six communities due to the urgency of their vanishing plant knowledge and available resources, as well as the needs of the respective villages. 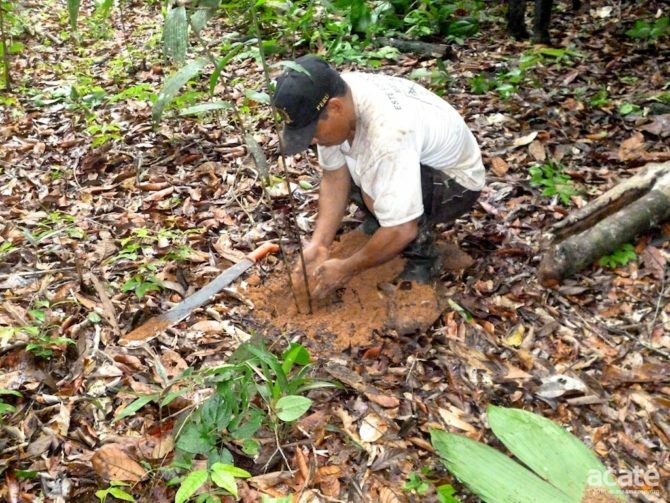 With advent of the rains in November, work on the first Healing Forest in Buen Perú on the upper Galvez was begun in earnest by a team of Matsés men and women from the village under the guidance of master Matsés healer and elder Alberto Baë. Stay tuned for a full field report chronicling its development but take a moment to take in the pictures captured by the Matsés themselves of their extraordinary work! 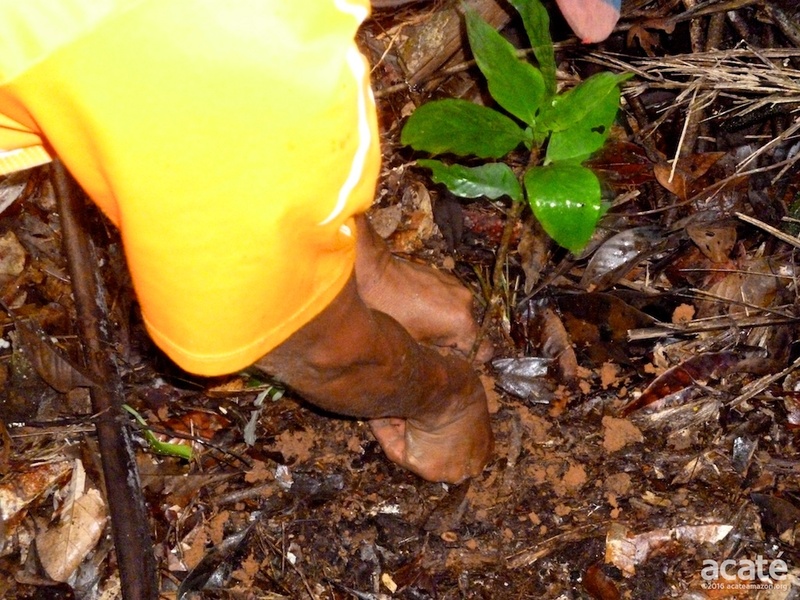 Chronicling the development of the Healing Forest, all the photographs seen here were taken by the Matsés themselves! The Matsés medicinal wisdom alive and well thanks to the dedication and initiative of the Matsés elders and youth. In December, the Acaté team launched a Global Giving Campaign to make Phase II of the initiative a reality! Take a look at our Global Giving campaign and consider supporting today this vital project that maintains indigenous self-sufficiency and retains their ancestral healing knowledge at a critical time! Our projects rely on your support to happen and your donations go directly to fund this on-the-ground project. As always, your contributions are tax-deductible. Copaiba, one of the natural and sustainably harvested products collected by the Matsés, ready for sale in Iquitos markets in Perú. Conservation dialogue in the world often focuses on condemnation of destructive economic activities such as logging, bushmeat hunting, mining, with little attention toward creating viable on-the-ground economic alternatives where few exist. Acaté and the Matsés leaders set economic development as a sine qua non priority of its initiatives designed to maintain the self-sufficiency of the Matsés people. One of Acaté’s first projects, the “Renewable Resins” program, involves the sustainable harvest and marketing of copaiba, the golden resin of a slow growing, tall rainforest tree. Copaiba resin has anti-inflammatory and anti-fungal properties as well as is used as a base for cosmetics. Copaiba is unable to be easily sourced in most settled areas in Amazonia as all the trees, such as is the case with mahogany, get quickly down and processed for valuable hardwood. In the Matsés territory, copaiba trees still stand and the valuable resin is extracted renewably and sustainably by the Matsés. The extracted clear golden copaiba resin is sold pure, without adulterants or cut with oil, as is often the case, which dilutes the resin’s potency and efficacy. Moreover, each vial is transparently traced to the Matsés community, to the Matsés family who extracted it. Urbano checks in on the harvest of copaiba resin. 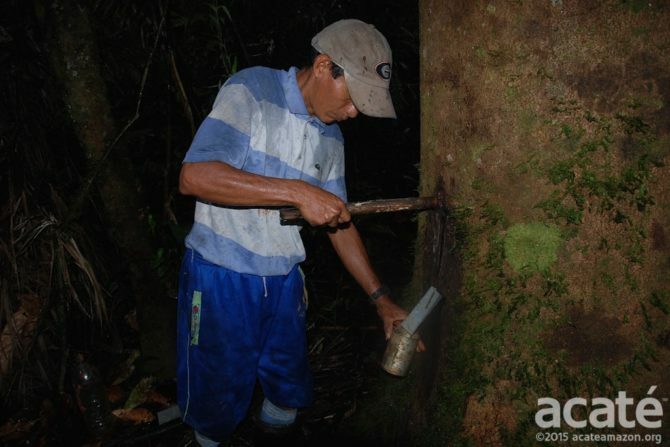 Acaté and the Matsés are pioneering sustainable approaches for collection of copaiba that do not harm the trees. In 2015, the Matsés expanded copaiba extraction into the forests surrounding the village of Puerto Alegre on the upper Rio Yaquerana. 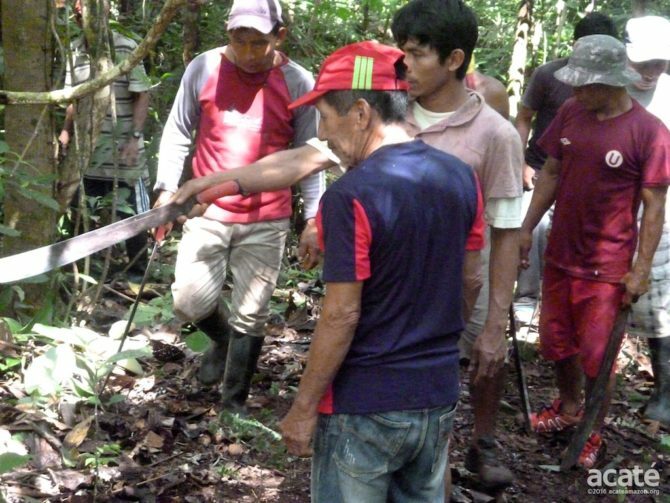 Hunter and copaiba extractor, Urbano Pemen Dunú, helped train Matsés in Puerto Alegre on best approaches for sustainable harvest and the use of specially constructed drills. 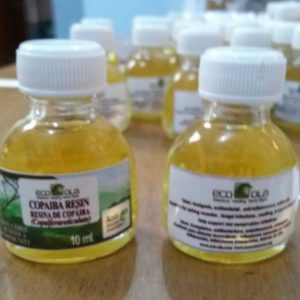 In November 2015, 23 liters of pure copaiba resin extracted by the Matsés was packaged and sold locally in partnership with Eco-Ola Amazonian Superfoods in the local Iquitos markets! The copaiba initiative provides real market economic alternatives, enabling indigenous communities to buy everyday items they need for their homes, and it allows them to be free of the destructive and dangerous timber-cutting jobs that would otherwise provide this income. Already the start of 2016, 10 more liters of copaiba have already been harvested. 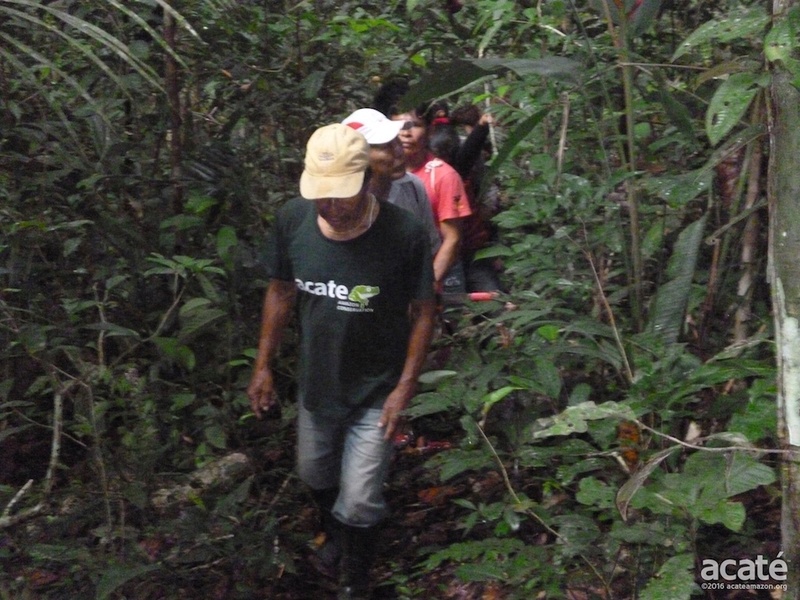 Acaté will continue to work with Matsés communities to further scale the program, formalize the management plan, as well as explore development of additional non-timber forest products for market diversification. The Chobayacú leads into the heart of Matsés territory. 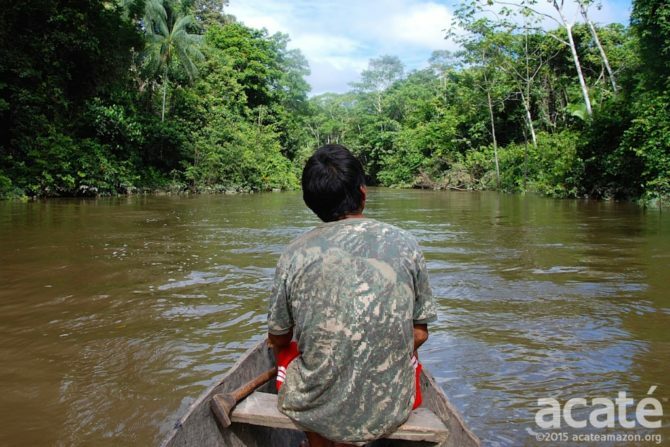 In the Amazon, rivers are the arteries of commerce, transport, and life. At our inter-village meeting in May 2015, the Matsés high council, chiefs from 11 communities and Acaté leadership formally laid the foundation for our next major collaboration, the Matsés Indigenous Mapping Initiative. Conservatively estimated, the Matsés directly protect, through their territories and traditional lands, over 3 million acres of rainforest in Perú alone. This region – the size of Connecticut – contains some of the most intact, biodiverse, and carbon-rich forests remaining in the world. Across the river in Brazil, the Matsés communities frame the western borders of Vale do Javari indigenous reserve, a region roughly the size of Austria that contains the largest number of ‘uncontacted’ tribes in voluntary isolation remaining in the world. The biodiversity of the rainforests safeguarded by the Matsés is of global significance. The traditional homelands of the Matsés include no less than 4 major ecological zones confirmed by scientific inventories to harbor extreme levels of biodiversity: the Matsés central range, the Yavari river valley, the extraordinary white sand rainforests of the Tapiche-Blanco that hold high levels of endemism, and the northern handle of the Sierra del Divisor in the upper Yaquerana, a range that protects uncontacted tribal groups in voluntary isolation. To date, Matsés lands have been defined only through maps created by and on terms of national governments, regional authorities, and outside interests delineating areas of potential resource extraction. These maps appear as vast blank areas framed by bright colors indicating boundaries of state-demarcated boundaries. The seeming emptiness is punctuated only by handful of dots along the rivers representing politically recognized present-day settlements called annexes. Only the largest of rivers are named, in Spanish or using local frontier names, and concession areas for planned petroleum exploration and extraction are noted. Official map of the Matsés territory. 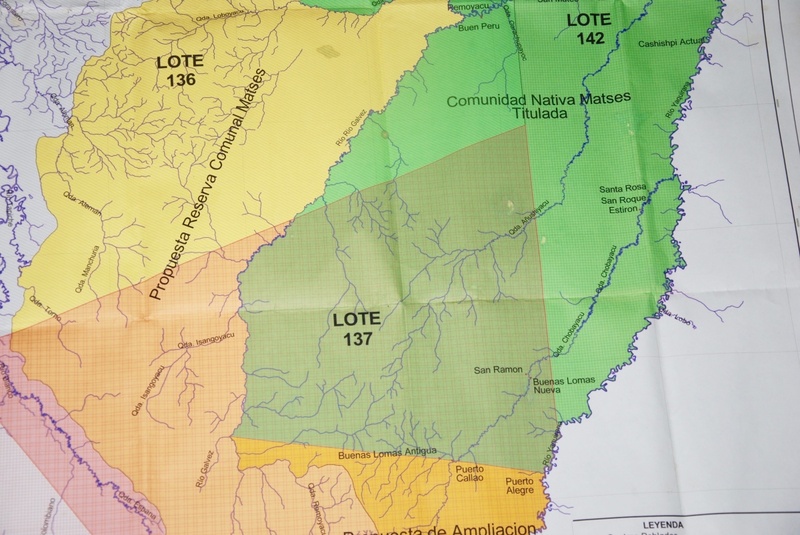 ‘Lotes’ refer to petroleum concession areas, allocated without prior indigenous consultation. Matsés communities on both sides of the border of Perú and Brazil have made their position clear: They vow to fight any incursion by petroleum companies into their lands, with their lives if necessary. This is not how the Matsés, the inhabitants and original caretakers of these lands, view or understand their rich ancestral landscape. The blanks on the map are not voids but are the living heart of their territory. In this landmark initiative, the Matsés will, for the first time ever, map over 3-million acres of their rainforest according to their worldview, culture, history and language. Their homelands will be subdivided into five areas based on watersheds, a nature-based view of living that indigenous people worldwide have used to demarcate territories. 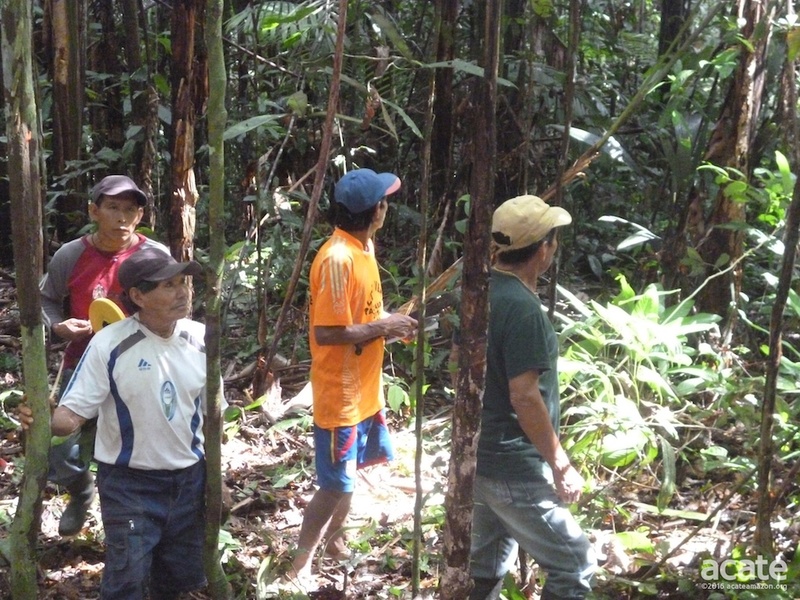 A team of Matsés elders and youths will map each area using accurate handheld GPS units. The names of waterways, places of cultural and spiritual significance, including ancestral villages and burial sites will be recorded. Ecological knowledge and land use, including hunting, fishing, gathering, trapping, and sites of cultural significance will be also noted. The GPS coordinates will then be superimposed on geophysical landscapes and reviewed by the Matsés leadership and communities in a series of workshops. The resulting map developed will portray their land as they define it and perceive it, a cultural construction of landscape across spatiotemporal domains, connecting past with present, unified to define a future of their own determination. Participatory indigenous mapping has evolved since the 1960s in parallel to advances in GPS technology. 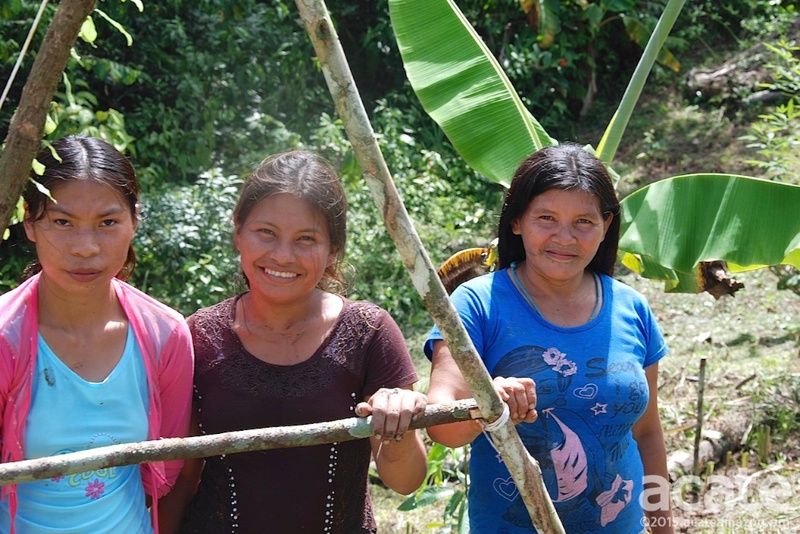 Our initiative was inspired in part through the extraordinary project done by the Jodï and Eñepa indigenous people of Venezuela to demarcate their lands in an ongoing effort since 2001 to secure land rights. Indigenous groups the world over have historically been left out of land use development and decisions on extraction of natural resources. The map will establish, for the first time, the true extent of Matsés traditional territories, not as defined and represented by political boundaries and allocations. It will provide a powerful tool for the Matsés communities to protect their homelands from external resource extraction. When petroleum companies demonstrate their intent to survey petroleum on seemingly uninhabited blank areas of the map, the Matsés can bring out their map to show that these rainforests are in fact their homes, hunting grounds, and sacred areas of spiritual significance! The process and significance of participatory mapping for indigenous peoples cannot be overstated. The very act of mapping their land reinforces their claim to the land and transmits across generations their deep connection to the landscape. The Matsés elders, who grew up at a time of independence prior to sustained contact with the outside world, still retain a deep pride in their culture. Discrimination and external influences, however, have lead many younger Matsés to lose interest in, feel ashamed by, and even resent their own culture. Their people’s connection to ancestral lands, knowledge and collective history that was passed down through countless generations before them, is not being transmitted and is on the precipice of being lost. Once severed, loss of culture, identity, and pride is certain to follow. It is no coincidence that indigenous peoples worldwide often have extremely high rates of depression, suicide and alcoholism. The rainforests that comprise the Matsés territory – some of the most intact in the world – exist today because the Matsés have fought – literally – to protect them. The uncomfortable on-the-ground reality in the Amazon and in rainforests throughout the world is that there is often a wide disconnect between protected status in law and conferred protection. Tragically, even national parks that have highest level of protected status are violated, particularly in remote areas, through selective timber extraction, gold mining, and petroleum interests. The law of the jungle is that you can only keep what you can physically protect. The Matsés’ rainforests remain intact because they have fiercely defended and protected their lands from rubber barons of old to modern day petroleum corporations. The Matsés villages are strategically located on the rivers and the trails that control access to this vast territory. These communities have long acted as a buffer, a shield that helps protect isolated groups from the unwanted encroachment of outsiders that will inevitably bring disease and conflict. The Matsés Indigenous Map will be a powerful tool to aid the Matsés leaders in managing and protecting their lands! This is it for now! 2016 promises to be a most exciting year. We look forward to sharing in more detailed reporting with upcoming field updates as our initiatives unfold. 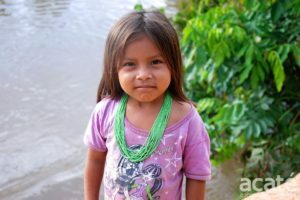 If you feel strongly about the Amazon, its life and its indigenous peoples, please consider making a contribution today to our on-the-ground initiatives! It is our pledge that your donations will be applied to our initiatives with the highest standards of efficacy, transparency, and accountability. 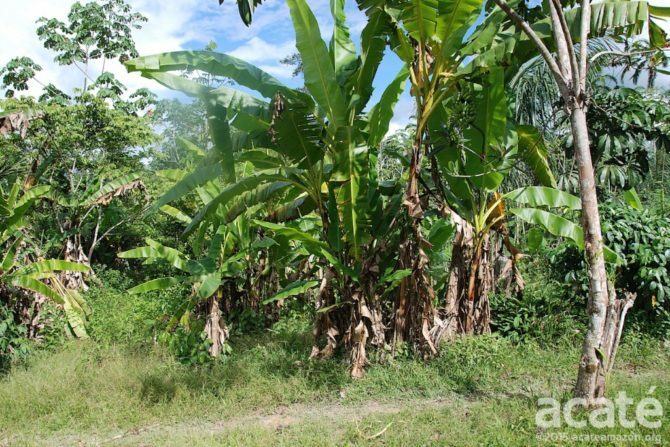 PS If you missed it, check out Acaté Field Coordinator Dave Fleck’s field report in November on applying permaculture principles of banana circles to the cultivation of plantains in eroded, abandoned areas. Small-scale slash and burn agriculture is one of the most important, and least-addressed, drivers of deforestation in the tropics. The plantain circle experiments, ongoing since 2012, piloted innovative strategies including the use of Inga edulis, a nitrogen-fixing tree, and incorporating polycultures to increase soil fertility. Dave and the Matsés encountered many challenges in the process but also yielded remarkable results in their pilot work. Stay tuned for further updates on the plantain circle experiments as well as developments on our accelerated successional agroforestry pilot farm in Estirón! Marina and family on the pilot permaculture farm in Estirón.